We all know that healthy skin starts from within. 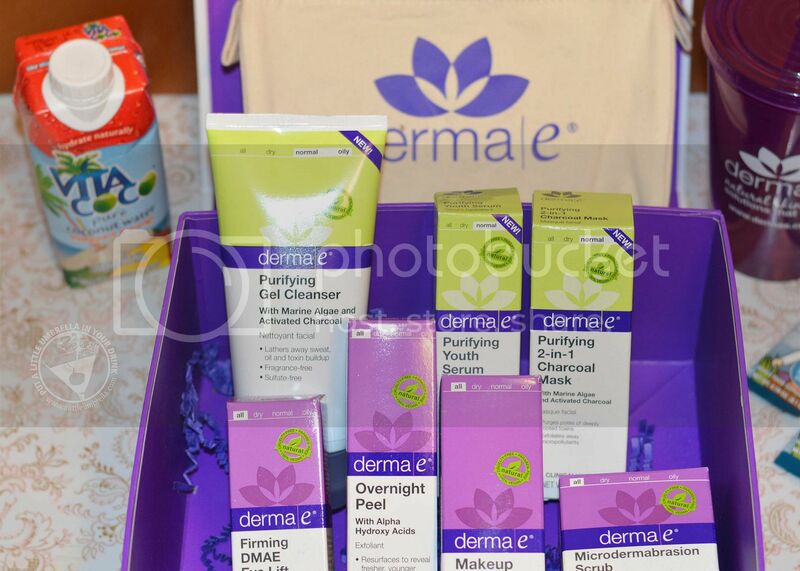 So along with these healthy skincare picks from derma e, don't forget these healthy skin tips. Drink lots of water, dry skin can accentuate fine lines and wrinkles. Love your greens, this will truly get you healthy from the inside out. Get your sleep, lack of sleep can lead to breakouts, puffiness, and premature aging. Finally, exfoliate and your skincare will absorb and perform better. 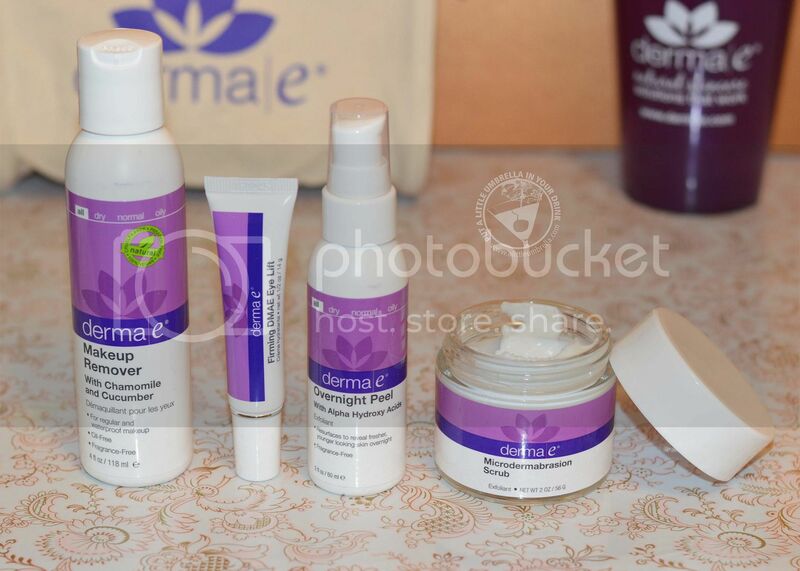 Speaking of skincare, derma e sent me a healthy skin box filled with goodies that I am so excited to tell you about! derma e® products are cruelty-free and 100 percent vegan. Even the manufacturing and operations are offset 100 percent by wind power. I mean they are green! I had the opportunity to try seven of their natural skincare products. Using purifying skincare products is like a deep detox for your skin. Oil, sweat, bacteria and micropollutants build up on skin and clog pores, leading to visible damage such as acne, blemishes, sensitivity, fine lines, wrinkles, thinning or sagging skin. 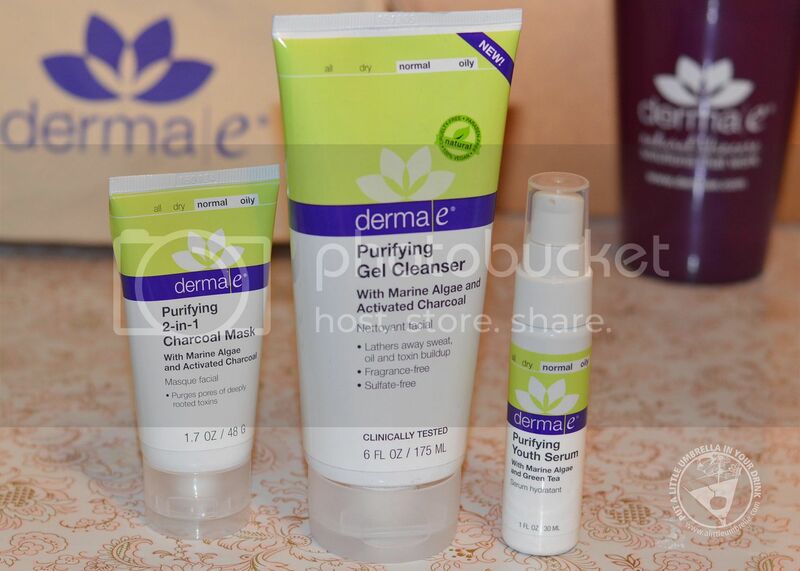 These purifiers from derma e will cleanse and reboot skin every day so it glows with pure health. Let's start with cleansing. The Purifying Gel Cleanser is a fragrance-free, sulfate-free, pH balanced formula that lathers away sweat, oil and toxin buildup for a refreshed, glowing complexion. Doctor developed and clinically tested, this formula contains some of the most powerful minerals and natural toxin fighters from the earth and from the sea. Ingredients like Activated Charcoal, Green Tea, and Aloe Leaf Juice remove impurities, deliver potent antioxidant defense, and revive the skin with a fresh, healthy hydration. You skin will feel so clean and pure after each use! 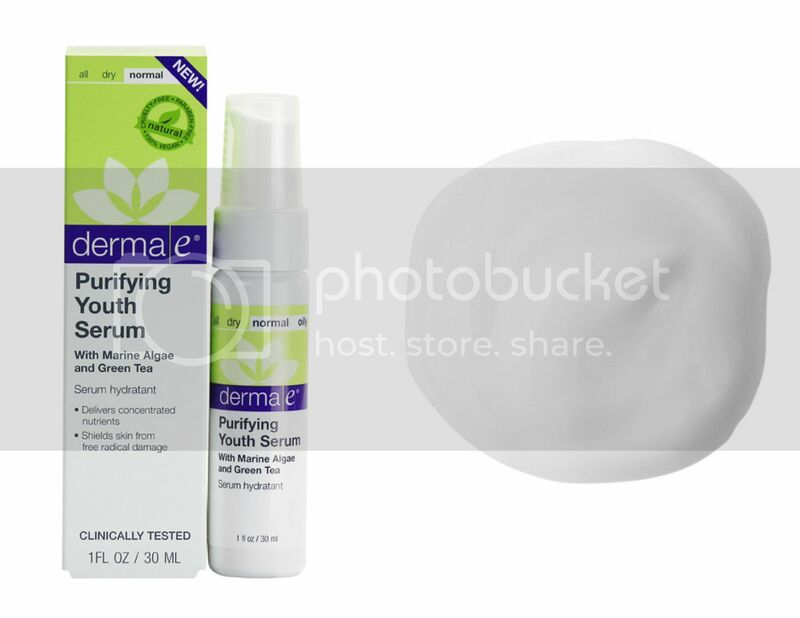 After cleansing, apply Purifying Youth Serum. This is a concentrated, mineral-rich treatment that helps shield against environmental and age damage to revitalize skin. Containing Kimarine Wakame, this serum will protect skin against environmental pollutants like exhaust fumes, cigarette smoke, and heavy metals. It also contains Bladderwrack, an antioxidant-rich, mineral-rich seaweed known for its water-binding properties, to support healthy skin hydration and nourishment. This serum may be used alone or as a treatment layer underneath other derma e moisturizers to enhance their effect. For extra skin detox, reach for the Purifying 2-in-1 Charcoal Mask. Definitely one of my faves, this dual-action formula purges pores of deeply rooted toxins, then exfoliates for purely glowing skin. This mask is a cult favorite of beauty bloggers because it deeply detoxifies skin of harmful micropollutants in two ways. First, natural clays lift out dirt, oil, and bacteria to decongest pores as the mask dries. Then, Apricot Seed Powder exfoliates away dead skin cells and captured debris upon removal. Excess oils and impurities are absorbed, relieving skin of unwanted congestion. I find myself using this mask once or twice a week for skin that looks dramatically fresher, healthier, and purely glowing. It is perfect for when you feel a breakout coming on. To use, apply generously to clean facial skin, avoiding eye and lip area. Leave on for 5 minutes or until mask is completely dry. Moisten fingertips, then massage mask gently in a circular motion to activate exfoliants. Concentrate on areas of congestion such as nose, chin and forehead. Rinse thoroughly, or remove with a damp cloth. Pat dry. It is so good! Is your makeup remover working for you? This Makeup Remover is a fragrance-free, oil-free formula that utilizes natural actives to safely remove makeup, including waterproof varieties. I like this one because it will sweep away waterproof mascara, longwear eye liner, transferproof lipstick and even long-lasting face makeup. Yet it uses natural ingredients! Chamomile and Cucumber extracts soothe, tighten and refresh. Eyebright extract shields skin from irritation. Bilberry extract promotes healthy looking skin. Green Tea delivers vital antioxidants. It is even suitable for all skin types and for those who wear contact lenses! 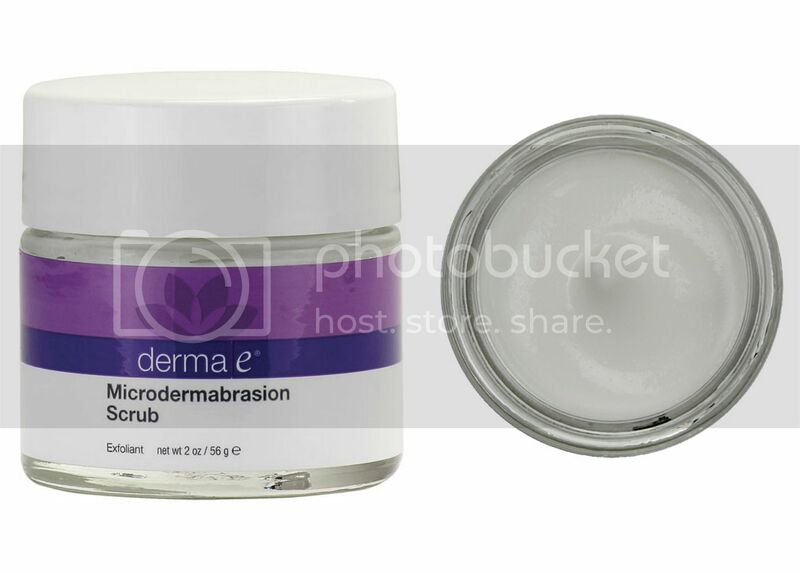 The Microdermabrasion Scrub is an award-winning, salon treatment alternative that buffs skin, helping to diminish the appearance of fine lines, wrinkles and acne scars. It can immediately improve the appearance of your skin using a gentle yet effective crystal blend of Dead Sea Salt and Volcanic Sand. This powerful combo will buff away dull surface cells, help diminish the appearance of fine lines, wrinkles and acne scars, and absorb excess skin oils. Enriched with natural astringents Lime and Lemon Peel plus antioxidants Grapeseed and Vitamin E, this pro-grade treatment retexturizes skin, leaving it soft, smooth and younger-looking. I also like using it on my hands during my manicure routine! The Overnight Peel is a skin-brightening, non-abrasive blend of alpha hydroxy acids that exfoliate overnight and visibly retexturize your skin. Reveal dramatically fresher, newer skin overnight with this skin-brightening blend of glycolic sugar cane and fruit acids. This skin-renewing formula contains 5% Alpha Hydroxy Acids (AHA) for safe, effective removal of dead surface skin cells. With every use, skin tone becomes more radiant, pigmentation is evened and age spots are visibly diminished. To use, apply a generous, even layer on clean skin over the face and neck before going to sleep. Leave on overnight. It takes the place of your nightly moisturizer. Just rinse thoroughly in the morning and off you go! I like it because it is not harsh or abrasive. The results are noticeable worrying about using something that could damage your skin. Don't forget those eyes! Firming DMAE Eye Lift is a multi-action eye crème that visibly lifts, firms and tightens the delicate eye area. 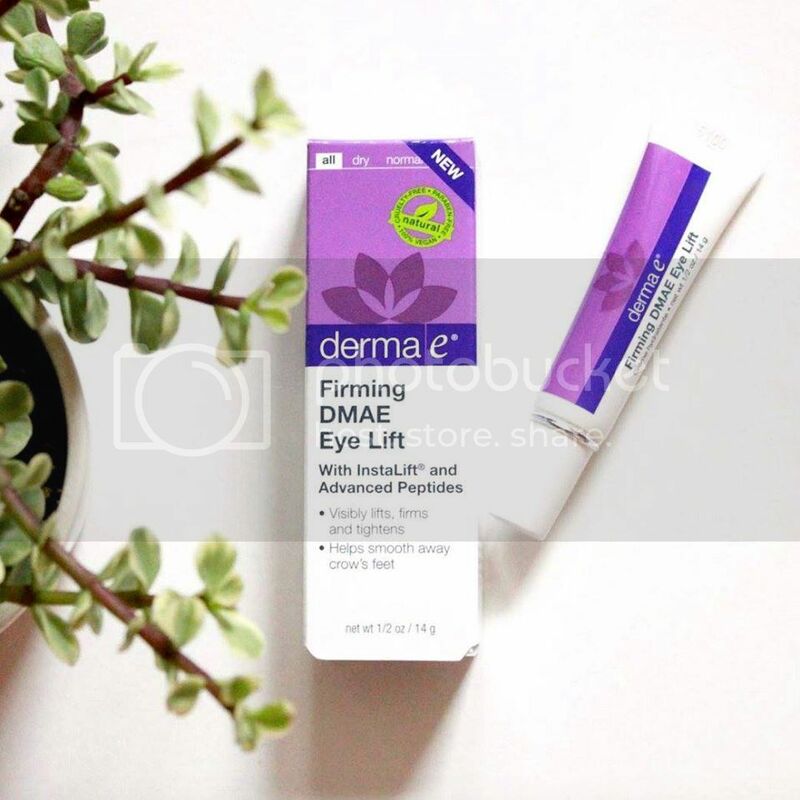 DMAE is a widely-acclaimed skin-firming nutrient which is clinically proven to boost collagen for firmer, more resilient skin. Advanced peptides work together to soften facial muscles and synthesize new key components such as collagen, helping smooth wrinkles and discourage new lines from forming. With continued use, this pro-collagen and pro-elastin blend leaves the delicate eye area firmer, smoother and younger-looking. 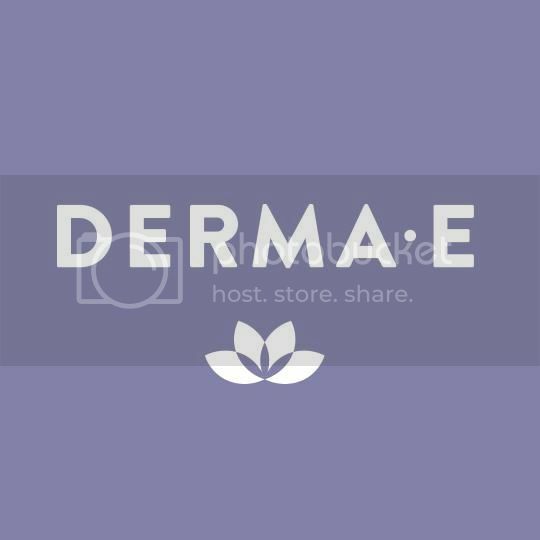 Connect :: Visit dermae.com to check out the full line of antioxidant skincare products. 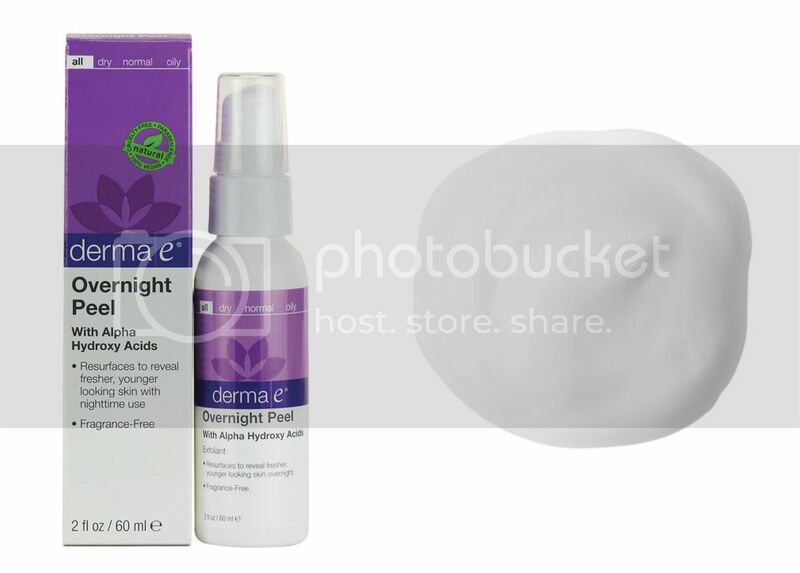 You can also find derma e on Facebook and Twitter. Buy It :: You can purchase the products mentioned in this post by using the convenient links below.